Benjamin Graham taught that Intelligent Investors must do a thorough fundamental analysis of investment opportunities to determine their intrinsic value and inherent risk. This is best done by utilizing a systematic approach to analysis that will provide investors with a sense of how a specific company compares to another company or by reviewing the 10 Stocks for Using A Benjamin Graham Value Investing Strategy – March 2017. By using the ModernGraham method one can review a company’s historical accomplishments and determine an intrinsic value that can be compared across industries. 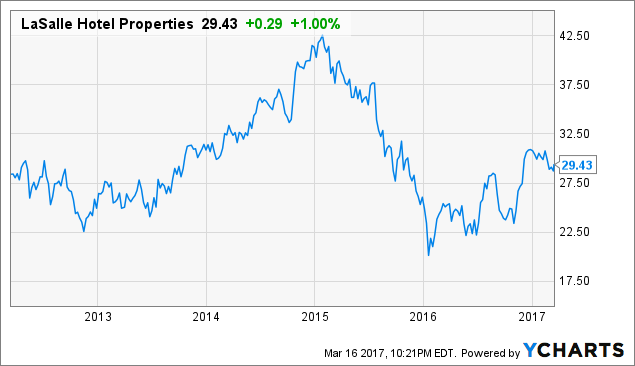 What follows is a stock analysis showing a specific look at how LaSalle Hotel Properties (LHO) fares in the ModernGraham valuation model. Company Profile (obtained from Google Finance): LaSalle Hotel Properties is a self-administered and self-managed real estate investment trust. The Company primarily buys, owns, redevelops and leases upscale and luxury full-service hotels located in convention, resort and urban business markets. As of December 31, 2016, the Company owned interests in 46 hotels with approximately 11,450 guest rooms located in nine states of the United States and the District of Columbia (DC). As of December 31, 2016, the Company’s properties included Hotel Amarano Burbank; Hilton San Diego Gaslamp Quarter; Hotel Solamar; San Diego Paradise Point Resort and Spa; The Hilton San Diego Resort and Spa; Harbor Court Hotel; The Marker San Francisco; Chamberlain West Hollywood; Le Montrose Suite Hotel; The Grafton on Sunset; Hotel George; Hotel Rouge; Mason & Rook Hotel; The Donovan; The Liaison Capitol Hill; The Marker Waterfront Resort; Hotel Chicago; Onyx Hotel; Park Central Hotel New York; The Heathman Hotel; Westin Philadelphia, and Lansdowne Resort. LaSalle Hotel Properties is suitable for the Enterprising Investor but not the more conservative Defensive Investor. 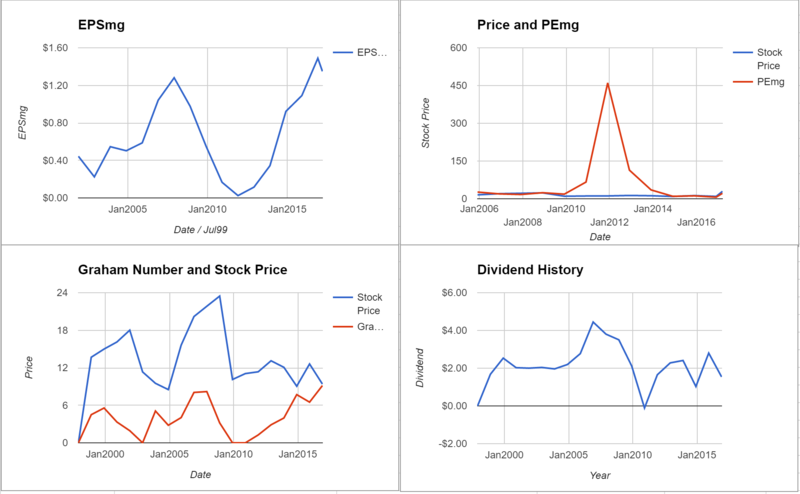 The Defensive Investor is concerned with the insufficient earnings stability or growth over the last ten years, the poor dividend history, and the high PEmg ratio. The Enterprising Investor has no initial concerns. As a result, all Enterprising Investors following the ModernGraham approach should feel comfortable proceeding with the analysis. As for a valuation, the company appears to be Undervalued after growing its EPSmg (normalized earnings) from $0.34 in 2013 to an estimated $1.35 for 2017. This level of demonstrated earnings growth outpaces the market’s implied estimate of 6.66% annual earnings growth over the next 7-10 years. As a result, the ModernGraham valuation model, based on Benjamin Graham’s formula, returns an estimate of intrinsic value above the price. At the time of valuation, further research into LaSalle Hotel Properties revealed the company was trading above its Graham Number of $5.83. The company pays a dividend of $3.01 per share, for a yield of 10.2%, putting it among the best dividend paying stocks today. 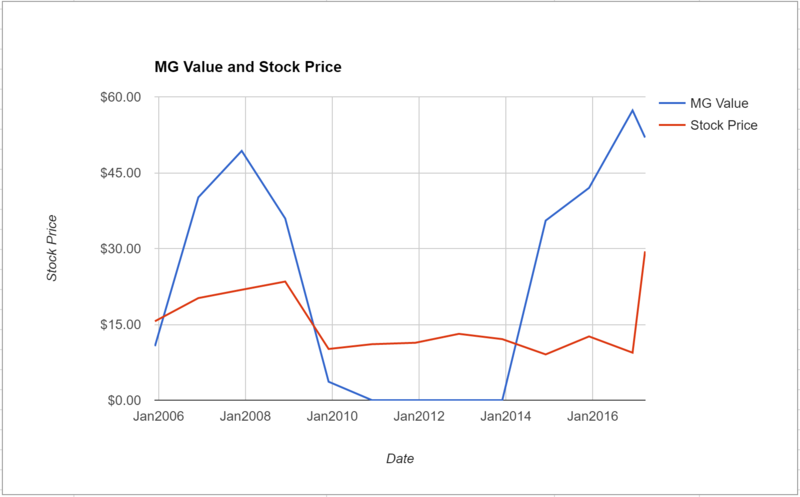 Its PEmg (price over earnings per share – ModernGraham) was 21.82, which was below the industry average of 31.91, which by some methods of valuation makes it one of the most undervalued stocks in its industry. LaSalle Hotel Properties receives an average overall rating in the ModernGraham grading system, scoring a C+.